From LDG x Hurley, Audi x Renovo, Charge x Bill Amberg, collaborations between designers and bicycle manufacturers seem to be overspilling with options. Unfortunately, the latest entry into the “collab” foray isn’t up to snuff with the rest of the crop. Diesel, the big-time denim powerhouse partnered up with Pinarello to develop the “Only the Brave” urban lightweight bike. 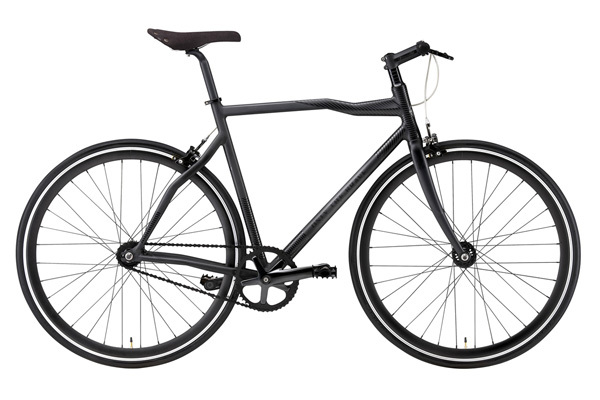 There are a few things that work with the bike — Diesel gets points for partnering up with Pinarello, known for their quality engineering, and they even get points in utilizing the hydroformed aluminum and choosing an all-black color scheme… but that’s about all that works with the single speed bike. The bent frame looks awkward and makes for an unappealing silhouette. And that name? One would hope they could’ve come up with something a little more enticing, especially considering it’s the brave ones who’d dare ride this around their metro areas. Simply put, Diesel’s first attempt in “collaborative work” with a bicycle company isn’t the best but we hope that it only gets better from here. The bikes are said to be made available at the end of August at the Diesel Planet Store in Hong Kong.